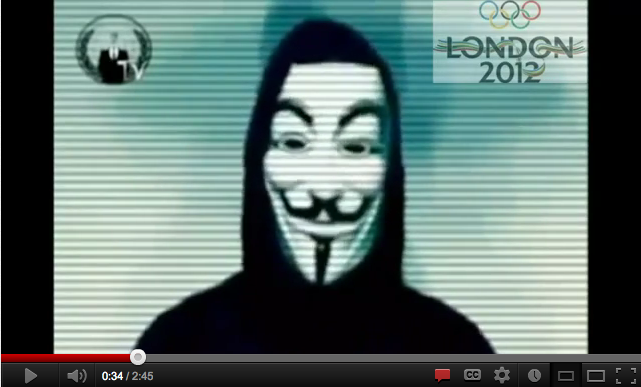 British Cabinet Office minister Francis Maude said that the 2012 London Olympics will not be “immune” to cyber attacks. Well, there’s a big surprise. Assuming that “not immune” doesn’t mean, “oops, we totally forgot about that whole cybersecurity thing”, it’s a pretty fair thing to say. After all, as we should know by now, nobody is impervious to cybercriminals. NOBODY. To the credit of Maude and the Olympic organizers, tech teams have been running security tests since March – simulating different kinds of attacks they might encounter during the games. And while the range of attacks that could be launched at such a massive target like the Olympic games is gigantic and the Organising Committee is focusing a huge range of possibilities, some of the biggest threats include distributed denial of service (DDoS) attacks against the official website and attacks that could actually disrupt the games themselves (think power outages). You might be thinking at this point, “How many people could really want to attack the Olympics?” In 2008, the games in Beijing were subject to about 12 million attacks per day. To put that in perspective, the U.K. government’s sites and servers are attacked about 600 times per day. That’s a pretty massive increase and it’s safe to say that authorities are going to be dealing with threats on an unprecedented level. And remember, though 2008 wasn’t all that long ago, the range and severity of cyber attacks has changed dramatically. Back then, few had heard of Anonymous, Macs didn’t get viruses, and digital watches were still pretty neat. 2012 is going to be a whole new ballgame and hopefully the brains behind the organizers are ready for some curveballs.